Pretty in Pale: Portland Melanoma Walk is two weeks away! 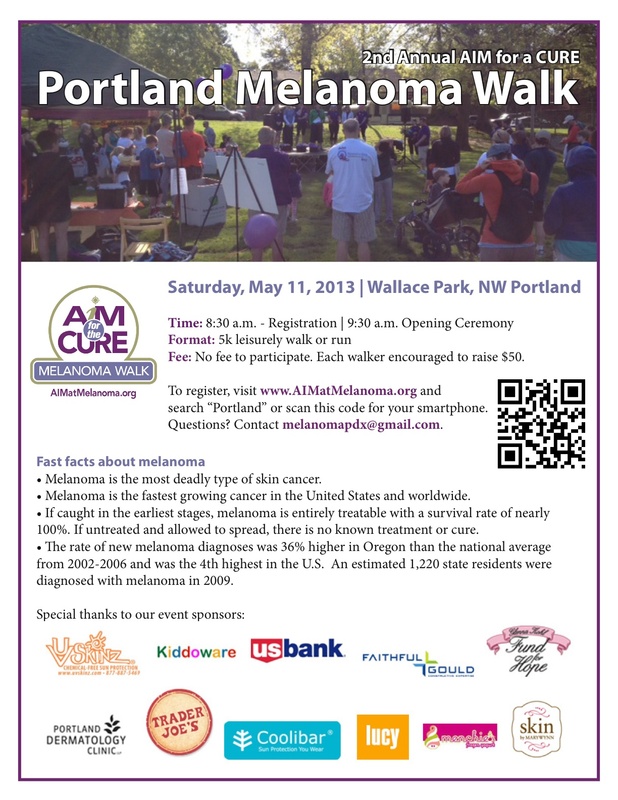 Portland Melanoma Walk is two weeks away! After months of planning, it's hard to believe that the 2013 Portland Melanoma Walk is only two weeks away! If you're a regular reader, please consider making a donation on my personal fundraising page. I hope to see some of you on May 11th! If I lived near enough I would be the first to sign up. Will be there in spirit cheering everyone on. "Drink bottled water and don't burn"
What it means to be a "patient stakeholder"